Here I will go over methods on how to find travel deals. Though I prefer to use points whenever possible, sometimes a price is so good that it is worth paying for. This page is something I check at least twice a day. It is the original spot of most deals that are later posted by blogs. This means that if you see a deal early enough here, you will probably still be able to access the deal before it hits mainstream, at which point it’s usually shut down quickly. Three deals that hit recently were the $420 USA-Bangkok deal on ANA, $300 USA to New Zealand, and $200 to Abu Dhabi on Etihad. Also, error fares on Delta and United were reported here first. The lingo may be a bit difficult at first, particularly since most people probably don’t have airport codes memorized, but with some time this all becomes second nature. In general FlyerTalk is a great site with a gargantuan amount of content. Besides the mileage run deals, I check Hotel Deals, United Airlines, Southwest Airlines, and some of the credit card forums nearly daily. Trip reports are also fabulous to look and inspirational at times. Its online deals page, which you can subscribe to and follow by city. I highly recommend to use one of these tools, as it posts deals many times throughout the day from various cities, many times at shockingly low rates. The only annoyance of the Facebook and Twitter pages is, they post deals from various cities, so there is really no way to filter if by your particular market. However, the online deals page allows one to filter by city, and even subscribe for deal alerts. Overall, Hopper is definitely a tool I recommend to use to track flights and find deals. As stated earlier, blogs get a hold of deals and post as soon as possible, to give their readers the maximum benefit. The only blog I read daily is ThePointsGuy (for whom I also do freelance writing for). They have deals that are good to great value. Be aware that once it posts here, to book as soon as possible, because TPG has a huge following which usually leads to mistake deals closing rather quickly. One thing to note is TPG, unlike FlyerTalk, will not post hidden-city fares, as this would ruin its relationship with airlines. A hidden city fare is basically a ticket where the price with an additional leg is cheaper than the direct route to the destination you want to go to. In this case, travelers simply skip, or “throw away” the last leg. 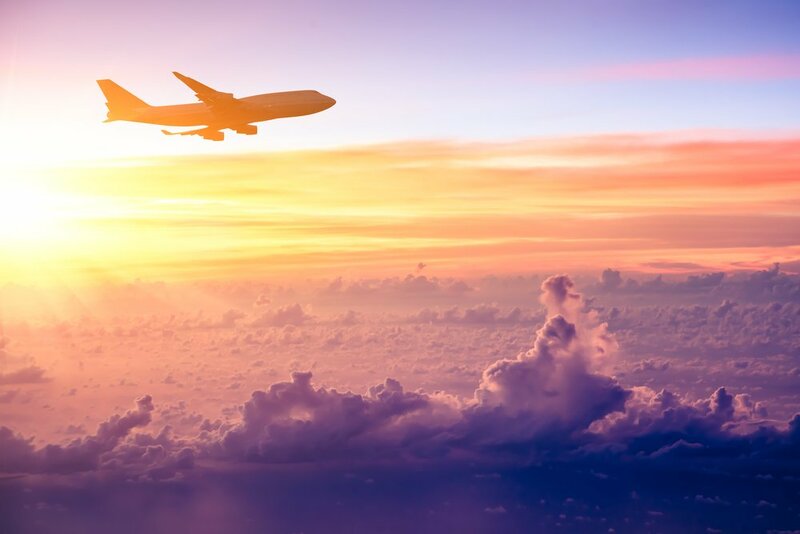 If you have a frequent mileage program for the airline you book it for, this is not advisable as airlines can shut down mileage accounts if this becomes a pattern. All in all, TPG has very good content for those just breaking into the points and miles game, and is probably the best known of all travel blogs. There are other websites, which I have heard of but not used, such as Secret Flying and TheFlightDeal, but I have no experience with them other than reading occasional FlyerTalk posts referencing deals from there. Of course, the best deal is traveling itself, because the experience of observing and learning about other places and cultures is priceless. Beyond that, for me personally, I love to walk while on vacation, I walk many miles a day in checking out places and their respective sites. This walking is beneficial to the heart and other parts of the body, particularly if you speed walk. For more information about the health benefits of travel, check out my friends at Positive Health Wellness and Bookmundi. You now have some tools to help you find great deals. I hope you find something spectacular and have a journey to look forward to.